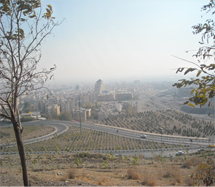 Seventh Meeting of the Conference of the Parties to the Basel Convention held in 2004 by its decision BC-7/10 established the Basel Convention Regional Centre in Iran but the centre came into operation only from May 2007. Later in November 2007, the same institution was nominated to serve as a regional centre under the Stockholm Convention. The centre was endorsed by COP 5 as a regional or subregional centre for four years in 2011 and recently, COP 7 has endorsed it again for another term of four years. Expertise: The centre has expertise in training and capacity building in the area of management of hazardous wastes/substances.